Polyaromatic hydrocarbons (PAH) are the compound which consists of multiple benzene rings bonded in straight, groups or angular forms. They are also found in atmospheric aerosols. In the atmosphere, they can be emitted primarily as a result of incomplete combustion of natural sources (fossil fuels, forest fires, smoke etc.) or anthropogenic sources (coal burning, vehicular emissions, smoke, etc.) or secondarily by atmospheric processes. Depending on the anthropogenic sources, PAHs may occur in significant concentration in urban and industrial ambient air, i.e., bounded with particulate matter (PM). A particle whose aerodynamic diameter is ≤ 10 µm is called PM10. Benzo(a)pyrene (BaP) is among the most toxic and carcinogenic PAHs. Both PM10 and BaP are among the 12 criteria pollutants listed in Indian National Ambient Air Quality Standards (NAAQS). 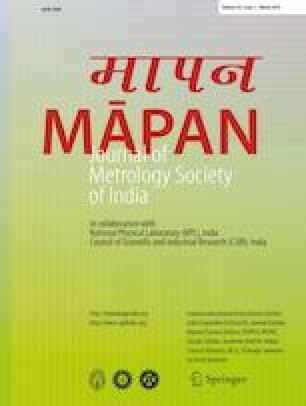 In this paper, BaP concentration in PM10 collected in a representative site of New Delhi was studied during the year 2014–2015. The average concentration of BaP is varied from 0.04 to 25.7 ng m−3. The uncertainty components in measurements were also estimated along with statistical analysis. The most significant uncertainty component is the purity of the BaP standard which has the highest uncertainty contribution as 77%. Authors are thankful to the Director, NPL for providing experimental facilities and support for the research work. JP is thankful to Prof. S.K. Singh, Head, Environmental Engineering Department, Delhi Technological University for providing the research opportunity.